Last year I tried a new recipe for Christmas morning Breakfast. I wrote about it here: Blueberry Maple Breakfast Bake. What I loved most about this recipe was it was easy to prepare while I was cooking Christmas Eve dinner and it took the same amount of time for it to bake in the morning as it did for us to open our presents! This year, I had spinach, feta, cottage cheese and eggs left over from Christmas Eve dinner, so I looked online to find a similar recipe to the Blueberry Bake for the ingredients I already had. 1.Lightly coat a 9-inch pie plate with cooking spray; set aside. In a medium saucepan cook onion and garlic in hot oil until onion is tender. 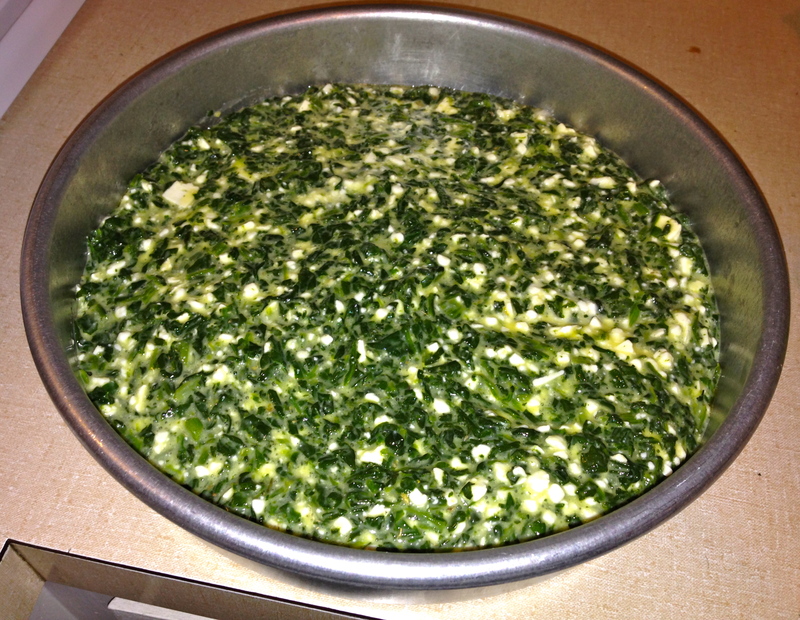 2.Stir spinach, drained cottage cheese, feta cheese, egg product, oregano, and black pepper into onion mixture. Spoon the spinach mixture into the prepared pie plate. I covered this with tin foil and refrigerated it until morning. 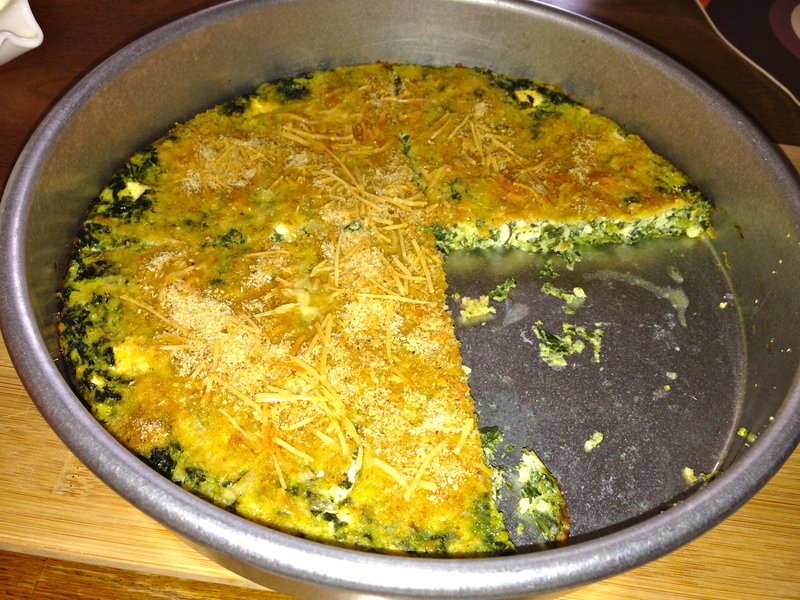 3.In a small bowl combine Parmesan cheese and bread crumbs; sprinkle over spinach mixture. Bake, uncovered, in a 350 degree F oven for 30 to 35 minutes or until a knife inserted near center comes out clean. To serve, cut into wedges. Makes 6 servings. It turned out yummy. Even though I usually prefer savory foods – I liked the Blueberry Maple Bake better! ( Maybe this tasted too much like last night’s dinner. A con to using the ingredients you already have!) What does your family eat on Christmas morning? I’m always looking for new inspirations – so leave a comment below what your go-to holiday breakfast is. Thanks for reading!